After almost five wonderful years together we are happy to announce our engagement! 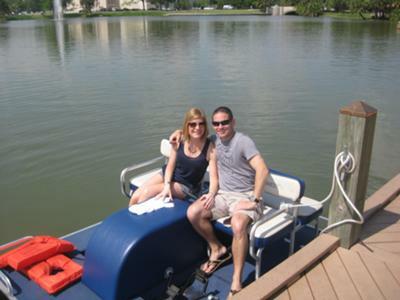 Dave proposed to Lauren on a weekend trip to New Orleans on 4/2/2012 at New Orleans City Park while on a pedal boat! The trip was a Christmas gift from Dave to Lauren as NOLA has been a city that she has wanted to visit for years. The engagement was not expected! They had a fantastic weekend taking in the sites, eating amazing food, and enjoying the art and music. Wedding date is set for August 4, 2012. Formal save-the-date and annoucements to follow. So excited for the two of you!! Can't wait to be part of your special day. We've set the date aside. Congratulations!! Our love and wishes that you will always be as happy as you are right now. Congratulations. We are just so excited for you and both our families!